Don’t fall, Santa! 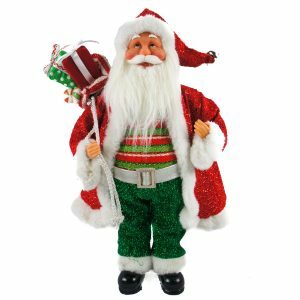 This adorable Slim leg hanging Santa has heavy hands filled with sand to help him hold on to tricky places and narrow spaces around the home. This delightful figure measures around 12cm wide by 60cm in length, and is the perfect clever accent to suspend from a mantle, shelf, or window sill. He would also be charming if hanging on to a gift or wrapped package near the tree. He appears to be having a bit of trouble, and lucky for Santa, he is hanging on by his mittens! This is a plush Santa that anyone would enjoy, either when seeing him in your home or for a fun and festive gift. 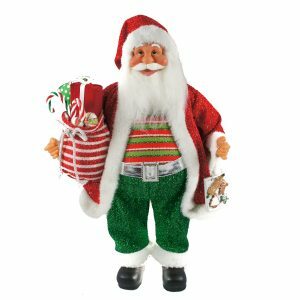 Santa is wearing a little bit different ensemble than usual, and his holiday sweater and striped cap give him a casual and unconventional look. 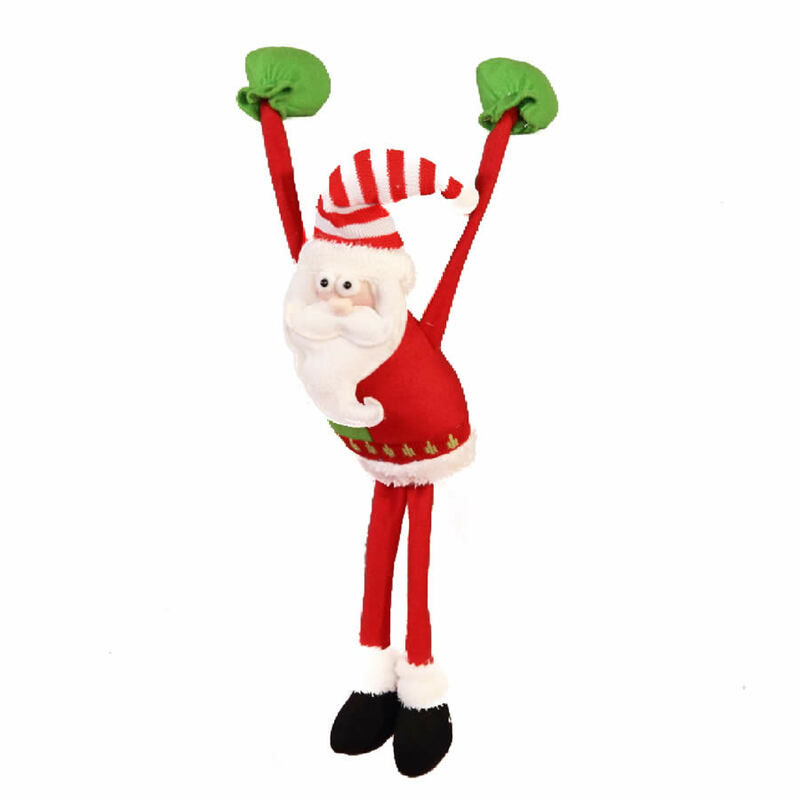 Enjoy the whimsy of this adorable slim leg Santa this season!